Starry, Starry Night // Do you ever just decide to hold onto clothes, instead of throwing them out, because you hope they'll come back into fashion some day? I'm guilty of doing this, but I always find it hard to part with clothes - particularly if they hold some meaning or memory with them. For example, the last time I wore this dress, it was for a costume party where I went as a fortune teller, accessorising with large gold hoop earrings and many rings on my fingers. It was a hilarious night and I've decided to hold onto this dress ever since. 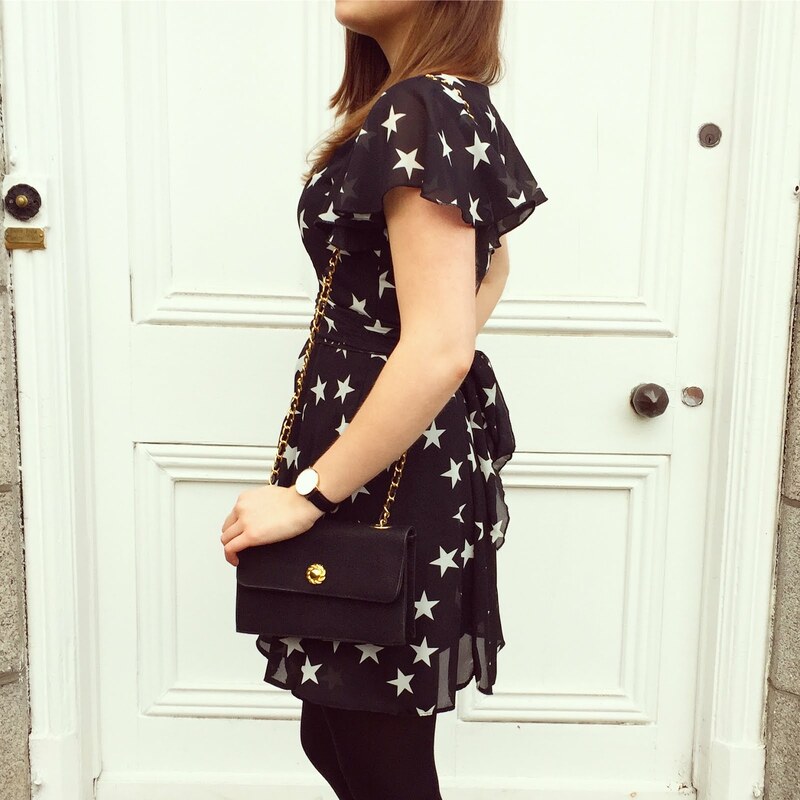 Luckily for me, star print dresses have come back into fashion and are a popular style this season. 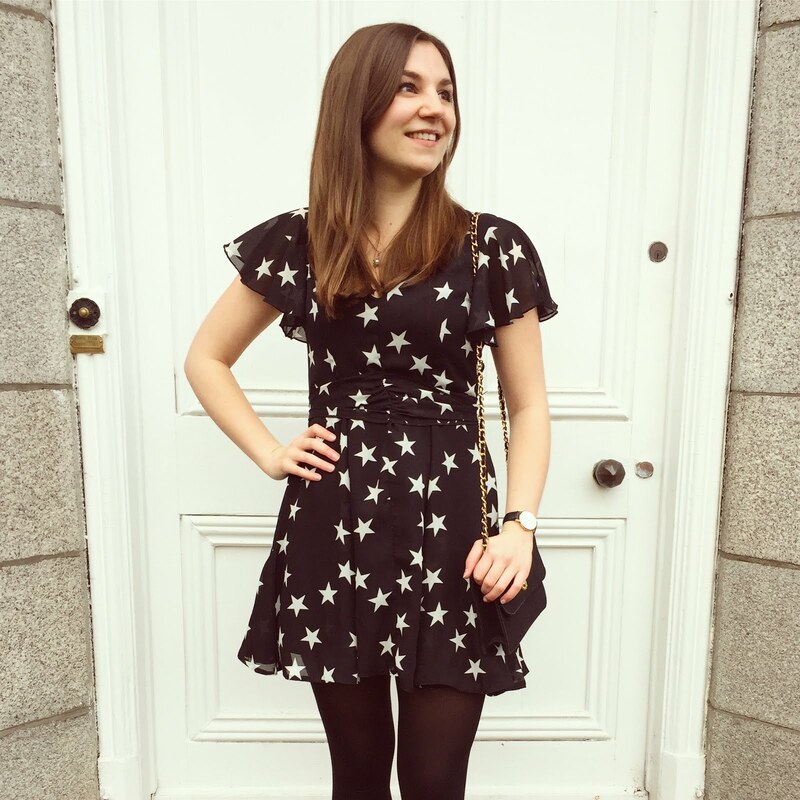 I can't tell you how many people I saw wearing this print over the festive period, and quite right - it's really pretty and I think more clothes should feature dreamy, starry designs. Are you a hoarder of clothes like me? Do you like to hold onto clothes for the future? Let me know in the comments below! That dress is so cute! You look lovely :) I'm the same as you, I can never throw away my clothes! Happy New Year to you! 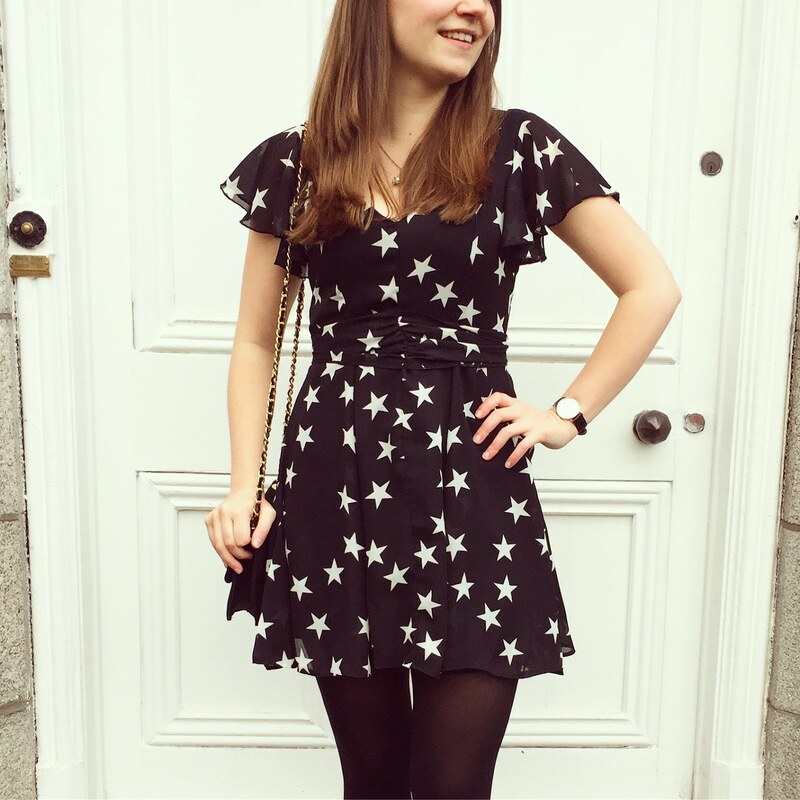 I love this gorgeous frock, I'm rather obsessed with star print everything. 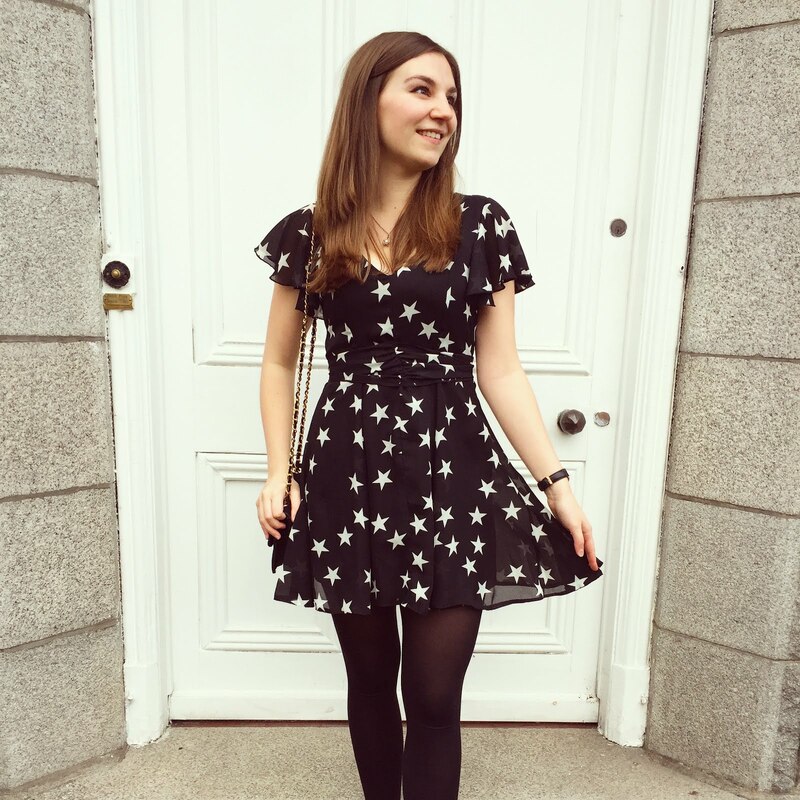 I love star print and what a beautiful dress, great pictures too! Such a cute dress! Happy New Year!